1 The Head of Augustus is displayed during a ceremony at the Ministry of Foreign Affairs in Rome. 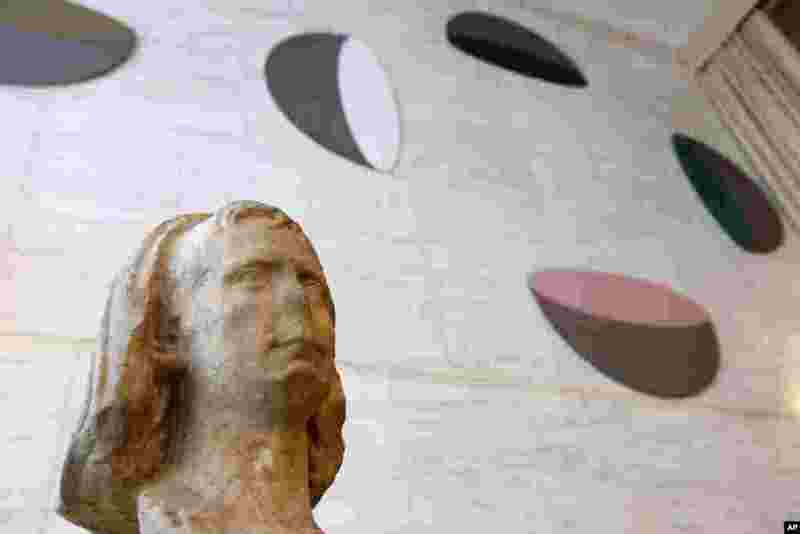 The Brussels' Cinquantenaire Museum has returned to the Archeological Museum of the central Italian town of Nepi, where it disappeared around 1970, the marble head sculpted more then 2000 years ago showing the young Octavian Augustus before becoming emperor of Rome. 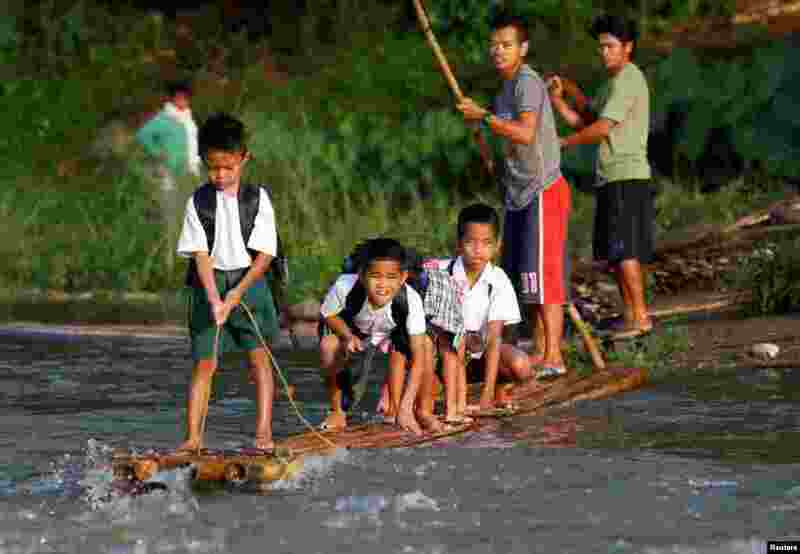 2 Schoolchildren ride on a makeshift raft to attend the opening of classes at a remote Casili Elementary School in Montalban, Rizal northeast of Manila, Philippines on June 13, 2016. 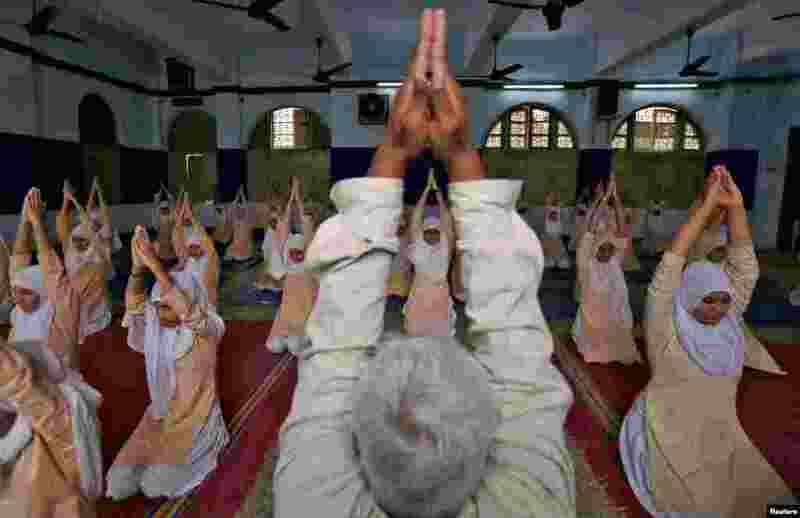 3 Muslim girls attend a yoga lesson at a school in Ahmedabad, India. 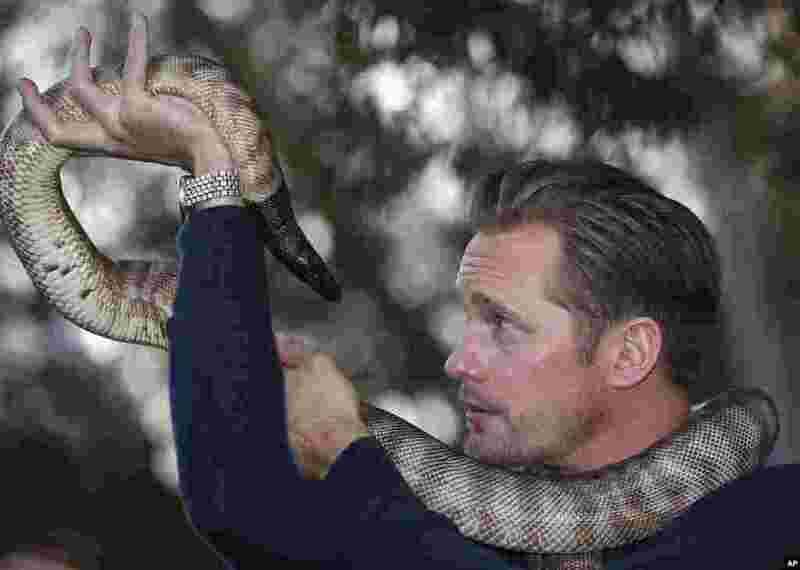 4 Actor Alexander Skarsgard, who plays Tarzan in The Legend of Tarzan poses for photos with a python at Wildlife Sydney Zoo in Sydney, Australia. Skarsgard is in Sydney to promote his film which opens in the country on July 7, 2016.